In this article, I’m gonna talk about four python books that I found extremely helpful to harness the power of python. If you are just getting started with Python, I will suggest you to buy and read them sequentially. Start with python doc it’s free! Python’s Documentation are well maintained. 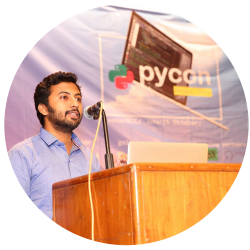 It even contains tutorials that will help you to get familiarize with basic python syntax. Whenever you are stuck it is always a good idea to checkout the docs first. As, most of the time you will find whatever you are looking for within the python doc! I love this book! Cause, this book is full of interesting projects that will make your python learning journey adventurous! In each steps you will find the exquisite taste of accomplishment, which will keep you motivated to learn even more. The Python Cook Book is full of recipes! Recipes or, scripts that you will use in every day life! Various topics such as Data Processing, Network Programming or, advanced topics such as Meta Programming are all covered. This book is pretty advanced compared to other books but, nonetheless beginners will find it super useful! Pro python is another advanced book that can be recommended to beginners with basic python knowledge. The best thing about this book is it teaches python best practices. It will help you get rid of your sloppy code habits and, let you write more concise and, idiomatic python. All these books are Highly Recommended! Note: I recommend that, you buy these books as token of appreciations to the authors. It will help them to produce more and more good stuff which will be beneficial to you, me and all of us. Do you have any recommendation for beginners? Let me know in the comments section! Please, feel free to contact if you need any help.